Why Use a Real Estate Brokers Website To Search For Homes For Sale? Searching real estate listings on line has become quite mainstream in the process of buying a home. 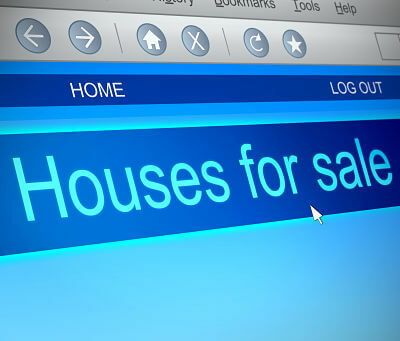 One of the first things any potential home buyer does is go to a website and start searching. The discussion today will discuss the differences of what website you use to search for homes for sale makes a big difference. There are hundreds; maybe thousands of websites that let you search real estate listings on line. The most popular of theses searches is Zillow, followed by Trulia (which is also owned by Zillow) and the third most trafficked website to search real estate listings is Yahoo Homes – which is powered by…guess who… YEP, you guessed it ZILLOW. Many people use Zillow because they feel if they go to a 3rd Party website, as opposed directly to a local real estate broker website, they will see all of the listings. That is a logical thought process, since if you go to Ford.com you don’t see Toyota cars….if you go to Maytag.com you don’t see GE products. That leads people to visit Zillow in an attempt to search for all of the active properties by all real estate brokers in their area. 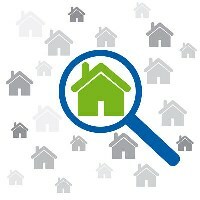 There is one issue with the searching for real estate online using Zillow and that is they DO NOT have all of the listings. That is right….Zillow, the most used online real estate search portal, does not have all of the listings. As a matter of fact…they don’t even come close. If you want to see all of the listings, by all real estate brokers near you---you have to go to a Real Estate Brokers website. To really understand how real estate listings end up on line and where you can go to see all of them, you need to know a little bit of the history. The true database of real estate listings for any area is the local MLS. MLS stands for Multiple Listing Service. The local MLS is where real estate agents search for properties for their clients. This is where understanding the history helps. A long time ago, real estate agents and brokers would only sell the listings that they personally listed. This was because an agent or broker was only compensated if they sold a property that they had a listing agreement on---in which a certain amount of compensation had included. This was the case for a long time, until the formation of MLS’s. The first thing the MLS did was create cooperative compensation between real estate brokers. This was super important because now, a real estate agent could show listings by other real estate brokers and still be compensated if their buyer chooses that property. This gave home buyers a lot more inventory to choose from since they were no longer limited to the listings by their preferred real estate agent or broker. Then came the internet. Early on, the local MLS’s came up with a way to display real estate listings on line, they called it IDX. IDX stands for Internet Data Exchange. IDX gives all participating brokers the ability to display all listings from other participating brokers online. Needless to say there are rules and regulations on how those listings can be displayed, but at the end of the day, IDX was the catalyst for real estate listings to come online. Then came 3rd Party real estate websites---such as Trulia. Since they are NOT a real estate broker, they are not allowed direct access to the MLS or its database of listing inventory. Although this is handled differently in different cities and parts of the country, Zillow generally has listings uploaded by real estate agents. Real estate brokers can also send them all of THEIR listings---but not other broker’s listings. Lastly, a few MLS’s do send Zillow all of the listings in their database, but that is few and far between. Because Zillow doesn’t get all of the listings directly from the MLS—they rely on brokers or agents to give them to them, this causes major inconsisities with what they display for sale and what is truly available. The ONLY place that will have all the listings is the MLS – and they let participating brokers display all those listings on their websites using IDX. This is why you see so many listings on Zillow or Trulia that have been expired, withdrawn or have the incorrect selling price. Since the listing was manually uploaded, if when the listing expired, was withdrawn or had a price change---the agent didn’t manually update that information on EVERY website---it continued to show the “old” information. So Where Should I Search For Properties Online? Many people like the functions of the large real estate portals. Most of them are publicly traded and have a ton of money to put into their technology. In recent years, real estate brokers have come a long way in catching up. They have always had the definitive advantage of ALL THE LISTINGS – but up until recently lacked the technology to give the home buyer a good experience. If you are searching for homes in Hood County, you will find that Elevate Realty Group has made a major investment in providing a word class property search and providing modern real estate tools such as getting your home’s value. It’s important to keep in mind, that when a company such as Zillow gives a valuation on your home, they don’t have all of the sold listings to use in their calculations, so that one of the reasons why you see such a variance in accuracy when you use a Zestamate as opposed to asking a REALTOR for a home valuation or even having a broker website provide an automated home valuation. Remember, the broker website has ALL of the real eostate data needed to properly value your home. We have written in detail on home valuations, so for further information, please read our two part blog posts on Getting Your Homes Accurate Value. Search all Homes For Sale In Granbury With One Click!